It all started with designs related to Agile and Scrum. Posters are available via CafePress. All designs are available in both male and female genders. 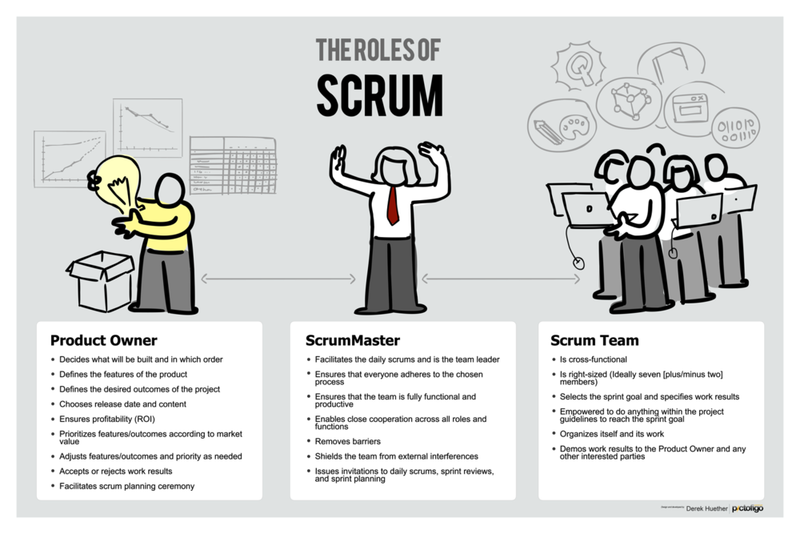 What are the attributes of a ScrumMaster? Perfect for dressing up any wall, or instantly creating a theme for a room. Images look great on this high-quality poster. Available in 11" X 17", 16" X 20", and 23" X 35"
What are the attributes of a Scrum Team? Perfect for dressing up any wall, or instantly creating a theme for a room. Images look great on this high-quality poster. What are the attributes of a Product Owner? Perfect for dressing up any wall, or instantly creating a theme for a room. Images look great on this high-quality poster. This is a female ScrumMaster version. Perfect for dressing up any wall, or instantly creating a theme for a room. Images look great on this high-quality poster. This is a male ScrumMaster version. Perfect for dressing up any wall, or instantly creating a theme for a room. Images look great on this high-quality poster. Perfect for dressing up any shared workspace. THE SPRINT (Male and Female ScrumMaster versions) captures each of the Scrum Roles, Meetings, and Artifacts in an easy to follow workflow format. It doesn’t matter if you are a chicken or a pig, you and your team will love this. Perfect for dressing up any wall, or instantly creating a theme for a room. Images look great on this high-quality poster. Available in 11" X 17", 16" X 20", & 23" X 35"
Men, women, and kid sized and styles are available. Servant Leader, Knowledgable, Framework Champion 100%. Percent daily values based on high levels of emotional intelligence.